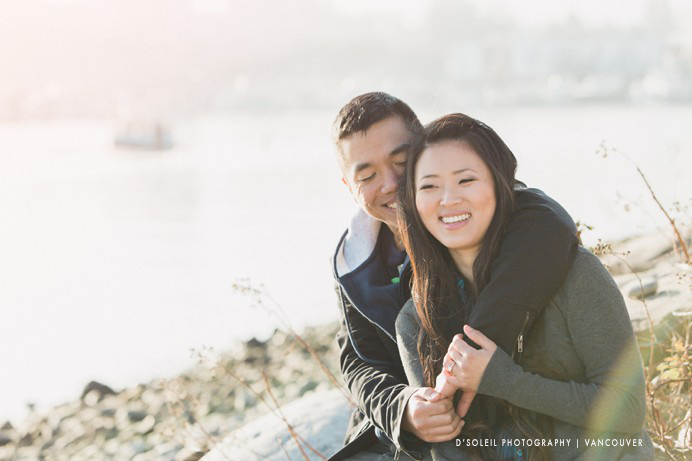 Michelle + Robin are a couple originally from Northern California, now living in Vancouver. They are an creative couple dedicated to the arts, and having seen Robin’s ability as an illustrator, I’ve been blown away. His creativity and imagination is amazing. The worlds and characters he creates are breath-taking and something to marvel. 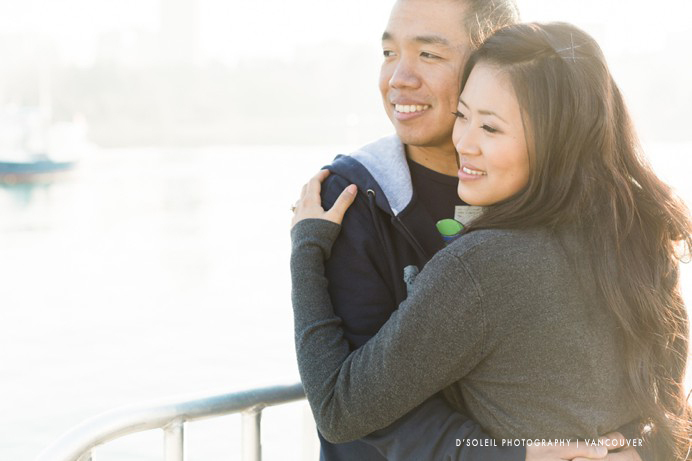 And it always humbles me to have such creative people ask me to take photos of them. 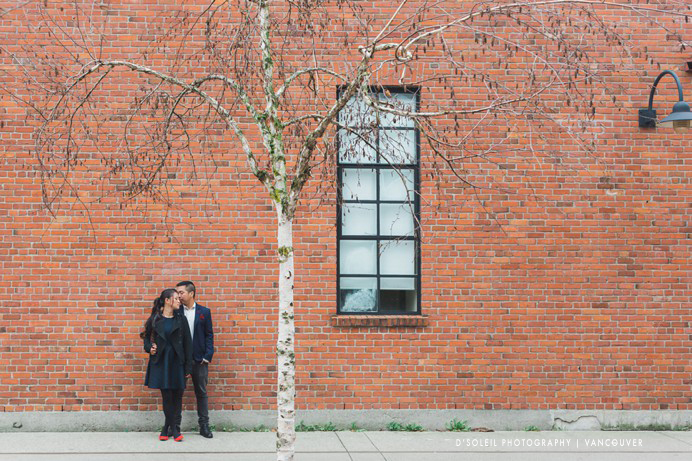 So this past January, we planned for Yaletown engagement photos in winter. 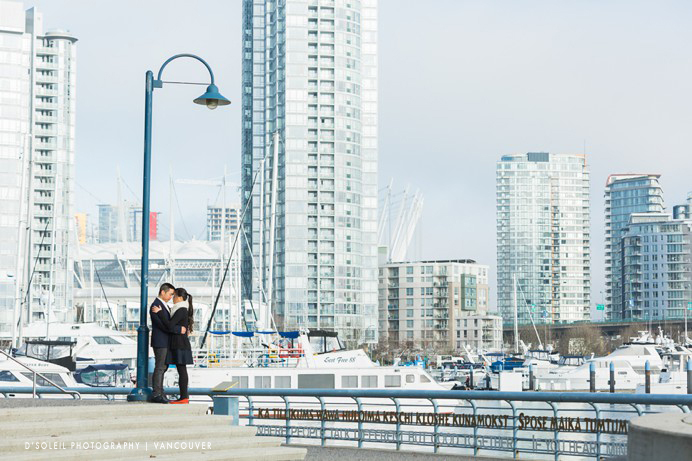 We were fortunate to have a dry and partly sunny day in January that was warm enough for us to wander around False Creek for engagement photos. 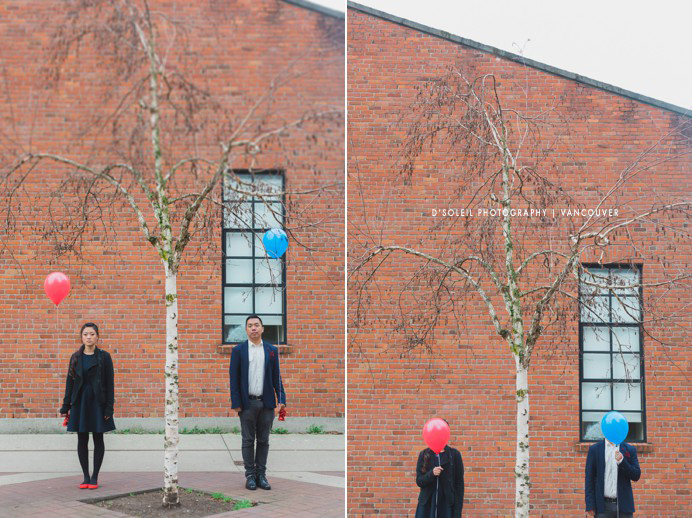 Michelle and Robin brought balloons and we met at the Roundhouse Community Centre in Yaletown. 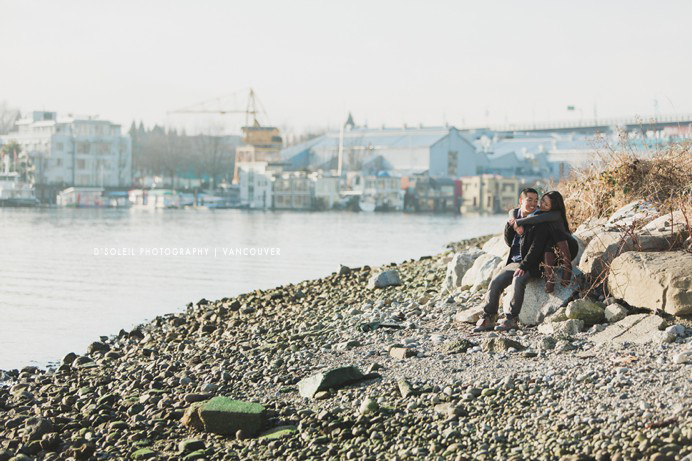 We spent much of our time along the water at False Creek. 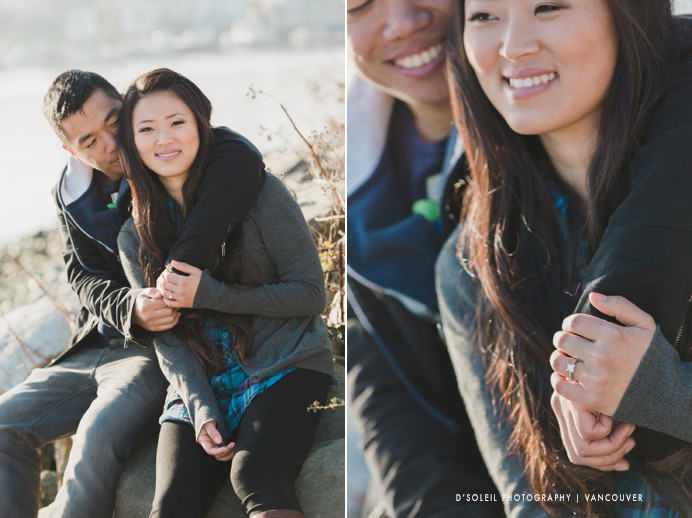 The sun peeked in once in a while, but for the most part, we had overcast skies and fog. I actually didn’t mind the Vancouver fog. 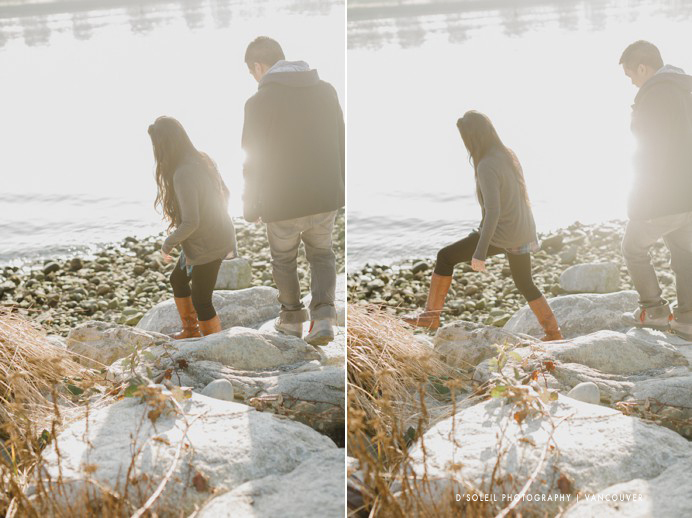 It created a romantic setting for photography. 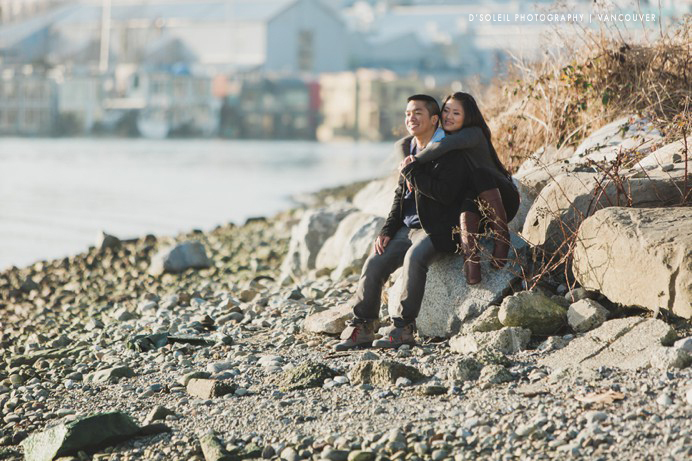 One of my favourites turned out to be of Robin reaching in to give Michelle a kiss while taking a stroll along the sea wall. 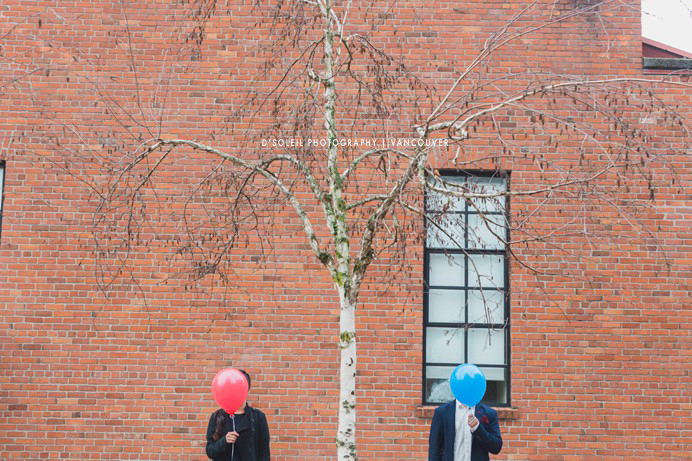 The balloons were a unique element that brought colour to the engagement session. 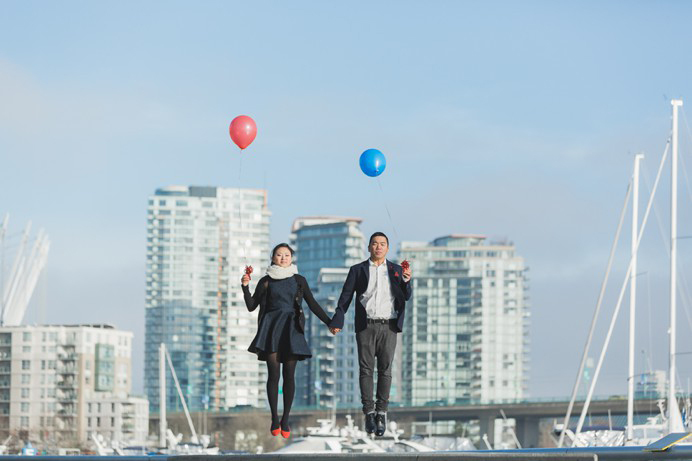 I couldn’t resist this levitation photo of the both of them at False Creek. 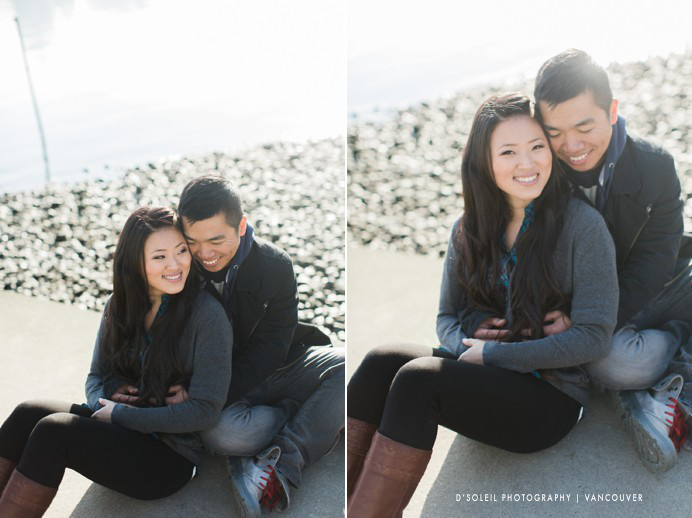 For some photos in a natural setting, we found this little rocky beach along the sea wall. 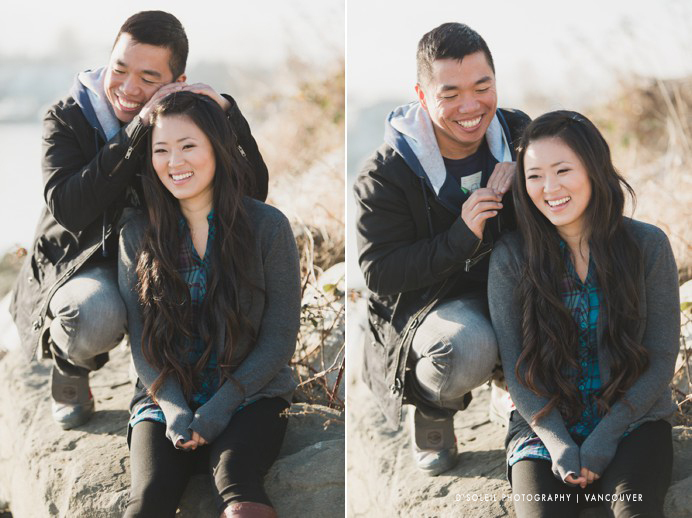 Michelle and Robin spent a little time there to enjoy the scenery and have a fun moment for the camera.